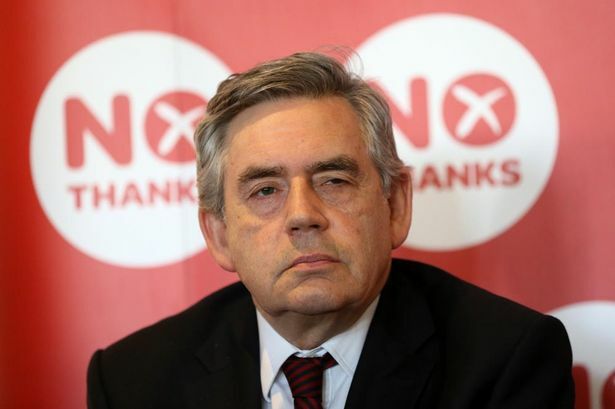 Gordon Brown and the Labour Party – Friends Of Scottish Pensioners – Not on Your Nellie!!!! Gordon Brown: Sentenced Scottish pensioners to ever decreasing pensions in refusing to restore the link between the State pension and earnings. Gordon Brown : Removed £5 billion, (recurring annually) from pension funds. Gordon Brown: Created the obnoxious, stealth tax decimating the value of retirement funds by £100 billion. Gordon Brown: Flogged 60% of the UK gold reserve for a pittance. Gordon Brown: Increased pensions by a stupendous £0.75p in 2000. Gordon Brown: Bailed out the banks in 2008 purchasing shares at 3 times the going rate. The R.B.S. bailout cost the UK taxpayer £45 Billion. But if Alistair Darling and Sir Nicholas MacPherson had acted timeously the bailout would have cost the taxpayer £15 Billion. Gordon Brown: Spouts about the excellent work of Westminster with an attendance record of less than 13%. Gordon Brown: Voted in the Commons on Scottish matters less than 13% of the time. OAP’s are one of the few social groups that still heavily vote Labour, hence this post. The young man you mention is more unusual. Record reading pensioners who swallow BBC news wholesale are Slab’s bedrock support.